Enterprise engagement has been a frequently-addressed topic in this blog, and a recent post shared some of our Partners in Improvement group’s thoughts on an important element of an engagement strategy — rewards and recognition. In that post, several points were made about being careful with the use of extrinsic, or monetary rewards as motivators. “Helping people focus on the meaning and impact of their work, rather than on, say, the financial returns it will bring, may be the best way to improve not only the quality of their work but also… their financial success,” the article states. culture of engagement that is linked with team productivity, performance, and job satisfaction. This approach incorporates a clear objective of engaging people around the one thing they all have in common—and the one thing that can bring about increased profitability and a sustainable competitive edge—the work. 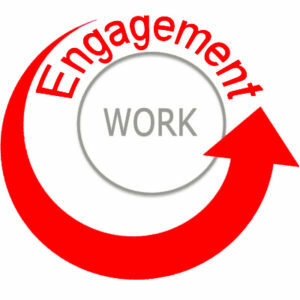 Read “Engagement Around the Work” white paper. Engagement vs. Disengagement – What’s at Stake? Recent posts have focused on various ways of promoting workforce engagement, which has been among the most popular topics among business leaders over the past 12-24 months. 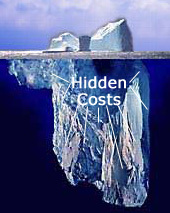 However, it is less common to hear people speak in specific terms about the real, often hidden, costs associated with disengagement. During recent meetings with our Partners in Improvement, a group of Improvement specialists from across North America, these costs were discussed in detail. The Partners’ conclusions were well-aligned with those published by numerous sources, including the Enterprise Engagement Alliance and Gallup. Higher turnover: Disengaged employees leave their employers as soon as they see a better opportunity. This turnover increases the costs of recruiting, on-boarding, and training, which typically range between 16% – 22% of salary for low-to-mid-level employees, and significantly more for higher-level executives based on a Center for American Progress study. In addition, every new hire brings a risk of a bad fit, and every employee leaving an organization takes with them some organizational knowledge that might have been helpful to that organization in future decisions. Lower productivity, lower profitability: Disengaged employees don’t go the extra mile; they do not make an extra effort when faced with a challenge, and don’t put forth the same discretionary effort that an engaged person will make. An article published by the Harvard Business Review said that organizations with high levels of employee engagement yield a 22% increase in productivity over the norm. Similarly, the Engaged Company Stock Index, which tracks the long-term results of companies with high levels of customer, employee, and community engagement as determined by independent data sources compiled by McBassi & Company, has outperformed the S&P 500 (including dividends) by 36.2 percentage points since October 1, 2012. Little or no process improvement: Improvement requires engagement — a willingness to design and conduct experiments, a willingness to take risks to try something new and potentially better. However, disengaged employees tend to focus on their personal agendas and see little upside in trying something new to forward the organization’s goals. Organizations that are unable to create an environment that intrinsically engages their employees must pay them more to keep and motivate them. The associated cost of lost opportunities is difficult to calculate; but our experience and data surfaced over the past three-plus decades has consistently shown that, of the four primary forms of waste (capital waste, lost time, material waste, lost opportunities), the “lost opportunities” are the greatest. Considering the above-listed realities, it is not surprising that ISO 10018, which provides guidance on engaging people in an organization’s quality management system, has become more prominent and a new certification created. 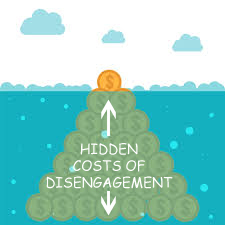 Our next post will focus on specific ways to reduce or eliminate these real costs of disengagement. As we’ve noted in recent posts, the effective execution of improvement and other strategic initiatives results in both goal achievement and workforce engagement. Thus it is to any organization’s advantage to promote and enable effective execution… as presented in “The Four Disciplines of Execution,” a book by Sean Covey, Chris McChesney, and Jim Huling. The first two disciplines are setting Wildly Important Goals (WIGs or lag measures) and Lead Measures (activities). The third discipline, which has a strong impact on engaging people throughout the organization, is a scoreboard. The scoreboard shows the lead measures and lag measure defined in the first two disciplines. This scoreboard must be ‘a players’ scoreboard’ not a ‘coach’s scoreboard’. It must support, guide, and motivate the players to act effectively on the lead measures and influence the lag measures (WIG’s). It must have the feel of a game — people play the game differently when they are keeping score, and they play differently if they are keeping the score themselves! In fact, the action of recording their own results has proved to have a strong effect on people ― fostering ownership, engagement, and a deeper appreciation of the impact of their effort. The scorecard must be visible. If it is out of sight, on your computer or on the back of the door, it is less effective at aligning the team to focus on moving those measurements. It must be simple, showing only the data required to ‘play the game’ ― to let the players know how they are doing day to day. 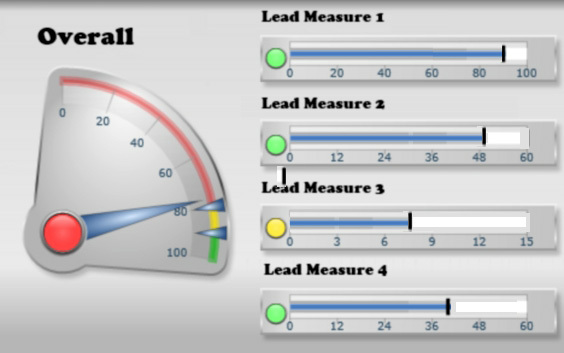 It must show both lead and lag measures. It must show “at a glance” how the team or players are doing. This scoreboard helps the team to both recognize their progress and also identify the next actions required to achieve the WIG’s; it also displays their achievement for all to see ― two critical components of engagement. From a communication perspective, the scoreboard also plays a role in promoting a sense of accountability, which we’ll discuss in our next post. On Wednesday December 6, 2017, the Wall Street Journal published an article about the country’s most effectively-managed companies as ranked by the Drucker Institute. It’s encouraging to see customer satisfaction and employee engagement/development atop the criteria list, as these emerging measures have proved to be common threads among the most successful organizations we’ve encountered — these organizations tend to enjoy a safer, more productive workplace, with low team turnover, high safety ratings, and high customer retention rates; they operate with a culture of continuous improvement, and they are consistently able to achieve goals through people in a measurable way. As noted in a previous post, new ISO Standards (ISO 10018) are about to be introduced, which will focus on employee engagement. This development is considered long-overdue by many, as surprisingly few organizations have a formalized engagement strategy. If you would like to create such a strategy, here are ten behaviors you might initiate, which are based on our research and experience that shows productive employees tend to be engaged employees (as opposed to the other way around. Read more on this perspective…). As with all change initiatives, get acceptance and buy-in from senior leaders. Little will be accomplished without this; the best results are achieved when leaders understand the benefits of engagement and take action. Create a formalized implementation plan and establish performance measures so that progress can be tracked. Develop realistic, achievable, and measurable goals and objectives. Work with the leaders so that they can model the right behaviors and cascade the concepts to their reports and throughout the organization. Foster an atmosphere of collaboration, innovation, continuous improvement, and fun. Make sure people have the knowledge and skills needed to succeed. Empower people to take action. Reward and recognize people so that they feel supported in their efforts. Measure return on investment, and reinvest appropriately in the above-listed activities. A blog post by Dr. Dr. Alison Eyring, the founder and CEO of Organisation Solutions, a global consultancy specializing in organizational design, references the the degree to which so many world-renowned journalists are commitment to their work. Yet despite the millions of dollars spent on various activities attempting to “engage” employees, many employers find the majority of their employees are disengaged (70% based on recent Gallup polls). This perspective is well-aligned with our Engagement Around the Work” white paper. The simple truth is that people prefer to work in an environment where their work is important — where their work matters; and in an environment in which they can be productive. 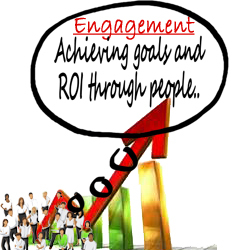 In the end, working on things that matter to us and working productively are the key drivers of sustainable engagement. As recently published by the Enterprise Engagement Alliance, the Engaged Company Stock Index (ECSI) has continued to out-pace both expectations and recognized financial industry indexes. The ECSI tracks the long-term results of companies with high levels of customer, employee, and community engagement as determined by independent data sources compiled by McBassi & Company. It has outperformed the S&P 500 (including dividends) by 25.6% in 4 ½ years. The Good Company portfolio includes 45 companies with combined high scores as employers, sellers, and stewards of the community and environment. Tracking of the portfolio began on October 1, 2012. 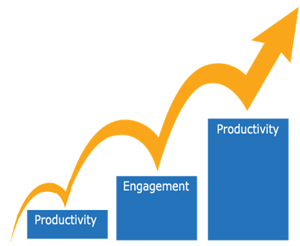 The consistently good performance aligns with our experience that productivity and engagement are closely linked. Our previous post shared data on the various and real costs associated with disengaged workers. Here are five proactive steps that can be taken to avoid these costs and the collateral damage to team morale and brand that is a regular side-effect. Enhanced recruiting and on-boarding — A good first step toward increasing employee engagement and retention can be taken at the recruiting stage. This might involve the inclusion of the organization’s mission and vision into interviewing conversations, and a more conscious effort to identify and hire people with aligned goals. Adding a mentor program to the on-boarding process can help new hires assimilate faster so they become more productive in less time as well. 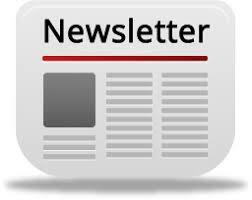 Consistent performance management and communication — As expressed in a Forbes article by Victor Lipman, “People leave managers, not companies.” People need to have meaning in their work, and understand how their work aligns with organizational objectives. If managers communicate a shared purpose or sense of direction, and encourage employees to openly share their perspectives and input, then they can increase employee engagement. This communication works best when systematized as part of structured, proactive approach to performance management. This methodology includes frequent feedback rather than annual performance appraisals and reviews, ongoing engagement surveys with real-time feedback loops, and protocols for keeping people aware of how individual work impacts organizational goals and how it aligns with mission and vision. Learning and development — Forward thinking business leaders understand that the path to sustainable employee engagement is to drive productivity, and to do so through ongoing education and empowerment. In support of this perspective, a recent article in Human Resource Executive magazine identified “continuous learning opportunities and personal development” as being two of the four key criteria (scheduling flexibility and social responsibility being the other two) recent graduates value most as they evaluate career options. But expanding workloads and limited resources can make it difficult to provide initial and refresher training for senior leaders, associates, and new hires. Learning management systems (LMS) enable many organizations to maintain training and development programs in a manageable way. Recognition and rewards — Recognizing and rewarding employees is not a new concept, but if the goal is to engage people rather than simply acknowledge milestones (such as length of service), then the approach must be aligned with what is meaningful to each recipient. The Enterprise Engagement Alliance suggests stepping-back from the traditional monetary rewards. Flexibility and work/life balance — Employer/employee relationships, expectations, and engagement criteria have evolved significantly over the past decade. Data from a PwC survey of 44,000 workers who had become less-engaged indicated that “71% said their jobs interfered with their personal lives, and 70% said they wanted to be able to work from home.” Employees can also become disengaged when they feel their managers “only care” about the bottom line. More than one-third of U.S. employees (39%) don’t believe their bosses encourage them to take allotted vacation days, and almost half (45%) say their bosses don’t help them disconnect from work while on vacation, according to a Randstad survey. Employers who proactively maintain positive relationships with employees and encourage them to utilize allotted vacation time are more likely to boost company morale, reduce turnover and increase productivity.